With the announcement of its merger with Dell,it doesn’t take an Einstein to see that EMC has big plans for its own future. Unfortunately, those plans probably won’t include yours. 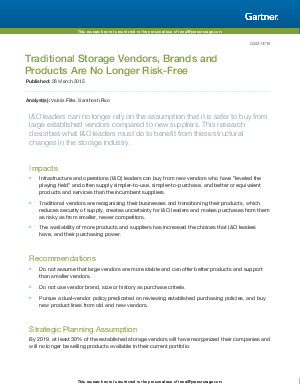 To start youon your journey toward risk-free storage, download the Gartner report now.